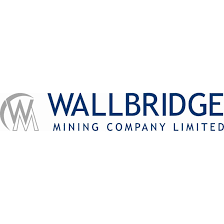 Wallbridge Mining Company Limited (TSX:WM) (FWB: WC7) is pleased to announce continued positive results from its underground drill program and to provide an update on the ongoing development as part of the 35,000-tonne bulk sample and underground exploration program at its 100%-owned Fenelon Gold Property. Visible gold was observed to be present in 48 of 80 holes drilled to date. Two of the above highlights are from intersections where visible gold was not observed. Assay results from 25 underground drill holes and three surface drill holes are pending. Production from the third stope (CH-02) is underway and the fourth stope (NV-02) is ready for production. Over 16,000 tonnes of ore has been mined of which 13,500 tonnes have been shipped to the Camflo mill. Processing of the second batch is planned for the end of November. The bulk sample is expected to produce 19,000 to 26,000 ounces of gold with close to 50% of gold priced at C$1,720 per ounce. The expected cash flow upon completion of this bulk sample, net of all bulk sample costs and including the financing costs, is expected to be sufficient to cover the budgeted working capital requirements. The bulk sample program is designed to test a few stopes in several zones. The geology team has developed an extensive sampling program to characterize the mineralized material during this bulk sample. Chip samples are collected from a sampling line across each development face and muck samples are also taken in a regular pattern on surface. In the next few weeks, underground drilling will target the main high-grade shoots down-plunge to 200 m depth. Surface drilling will follow known mineralized zones and expand resources to 300-400 m depth and further away from the mine workings. A summary of the drill hole results from the underground drilling are reported in Tables 1 and 2 and also shown on the Figures below as well as on the Company website. *Au capped at 140 g/t following InnovExplo’s 2016 Mineral Resource Estimate. **Intervals containing visible gold (“VG”). * Table includes only underground holes for which assays are pending. For earlier holes please refer to tables in previous press releases. Wallbridge’s Fenelon Gold Property is located in northwestern Quebec proximal to the Sunday Lake Deformation Zone which hosts the Detour Gold Mine in Ontario, and Balmoral Resources’ gold deposits at Martiniere. The Fenelon Gold Property hosts the Discovery Zone gold deposit and surrounding 4 km strike length of a gold-hosting secondary splay of the SLDZ. Since acquiring the property in late 2016, Wallbridge has completed an updated resource estimate and a positive pre-feasibility study on the existing resource (see Wallbridge Press Release dated February 02, 2017). In addition, Wallbridge has completed surface exploration drilling campaigns and is currently drilling from underground as part of its 35,000-tonne bulk sample at Fenelon. Drilling to date has significantly extended existing zones and discovered several new parallel zones. Drill core samples from the ongoing drill program at Fenelon were cut and bagged on site and transported to SGS Canada Inc. Samples, along with standards, blanks, and duplicates included for quality assurance and quality control, were prepared and analyzed at SGS Canada Inc. laboratories. Samples are crushed to 90% less than 2mm. A 1kg riffle split is pulverized to >95% passing 106 microns. 50g samples are analyzed by fire assay and AAS. Samples >10g/t Au are automatically analyzed by fire assay with gravimetric finish or screen metallic analysis. To test for coarse free gold and for additional quality assurance and quality control, Wallbridge requests screen metallic analysis for samples containing visible gold. These and future assay results may vary from time to time due to re-analysis for quality assurance and quality control. Wallbridge is currently developing its 100%-owned high-grade Fenelon Gold property in Quebec with ongoing exploration and a bulk sample in 2018. Wallbridge is also pursuing other additional advanced-stage projects which would add to the Company’s near-term project pipeline. These discussions benefit from the operating capabilities Wallbridge demonstrated by safely and efficiently mining the Broken Hammer deposit in Sudbury, which was completed in October 2015. Wallbridge is also continuing partner-funded exploration on its large portfolio of nickel, copper, and PGM projects in Sudbury, Ontario, with a focus on its high-grade Parkin project.